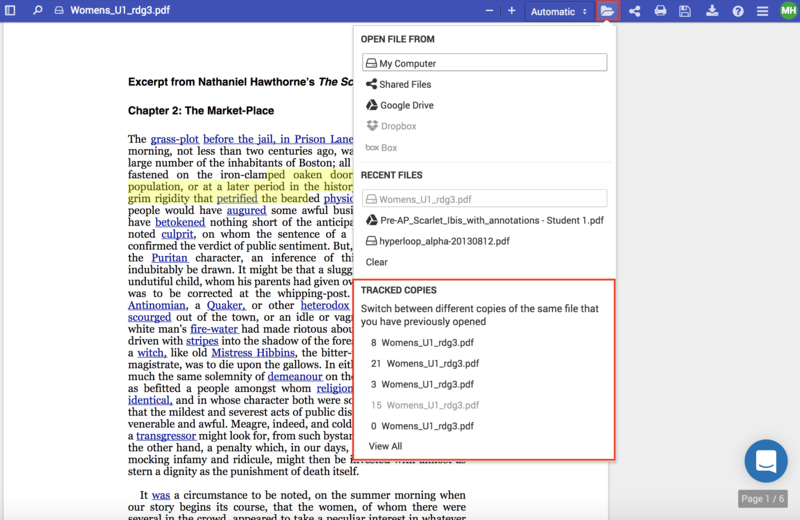 How Do PDF Instances/Tracked Copies Work? The tracked copies menu is where all the copies of your PDF exist. As you can see below, there may be a variety of versions, all with different collaborators and sets of annotations. You can click the different copies to switch between them. To create a new copy, select "View all" at the bottom of the menu.